The entry fee to this wonderful event is a suggested donation of $5, which gets you entered into a drawing for upcoming shows. 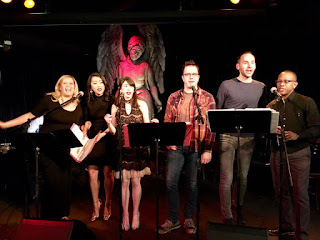 This month they gave away tickets to History Theatre's lovely new musical Sweet Land and the next show in the Ordway's edutainment series Broadway Songbook - Hollywood and Broadway. 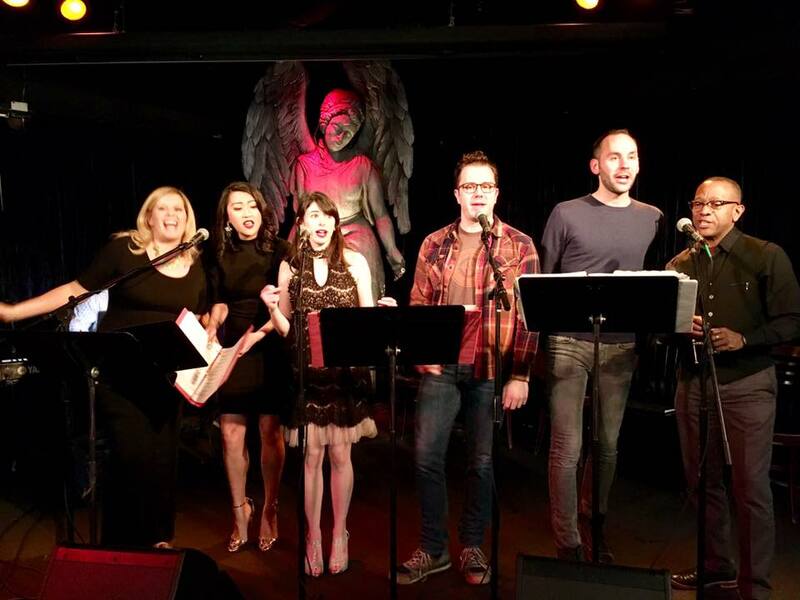 The six featured performers, along with musical director and accompaniest Kyle Picha and hosts Max Wojtanowicz and (belatedly) Sheena Janson, are listed below, along with where you can see them next. Here's the songlist, which is always posted on the Musical Mondays Facebook page the day after the performance (I added the years because I'm a musical theater nerd and and math nerd). 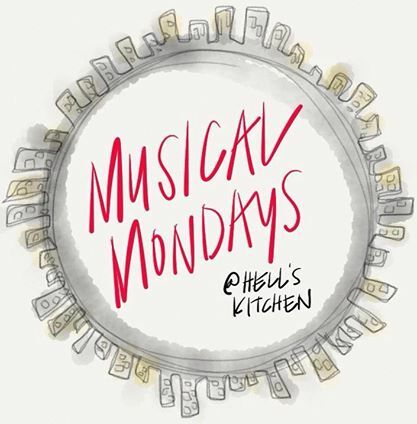 Musical Mondays is at 7 pm on the first Monday of every month at Hell's Kitchen in downtown Minneapolis. The next one is June 5 with the theme of Pride. Watch their Facebook page for details. Eric Morris has a nice singing voice but, man, he needs to learn to back off when he's singing as part of an ensemble. I saw this from him in WHOREHOUSE when he was in the chorus and singing louder than everyone else on stage. Same thing held true last night at Musical Mondays. He's got one volume: look at me, I'm the star! Even when he's not.